Last weekend Mum and Dad came down to Southampton for the exhibition at uni. 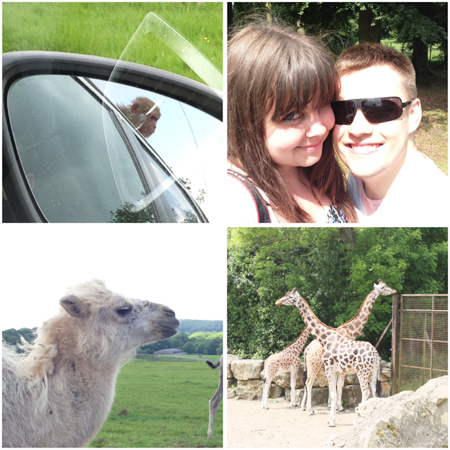 Whilst they were here we went on a trip to Longleat Safari Park (one of my favourite childhood holiday destinations!). 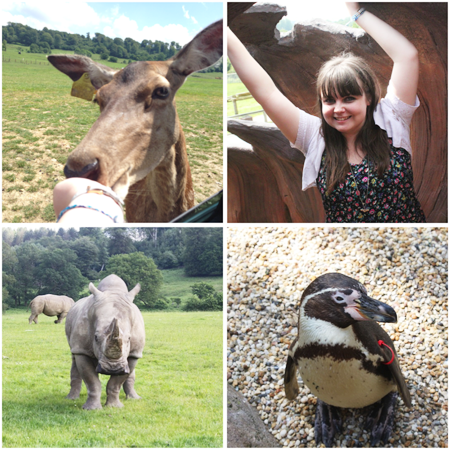 We had a lovely day and the weather was brilliant, and all but one of the animal species made an appearance for us (the wolves were hiding away somewhere)! 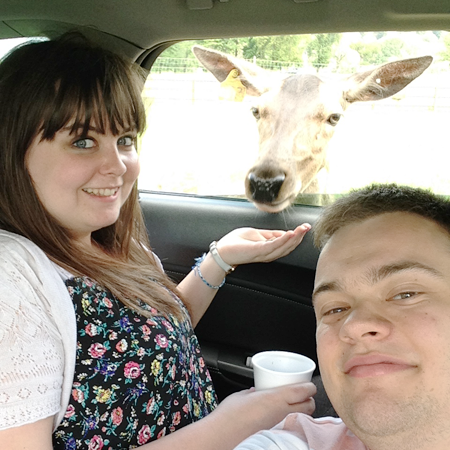 I had loads of fun feeding the deer through the car windows, and we had a monkey take a ride on the roof whilst we drove around the enclosure.